Sold at Giant Hypermarket Food Court, Bayan Baru. 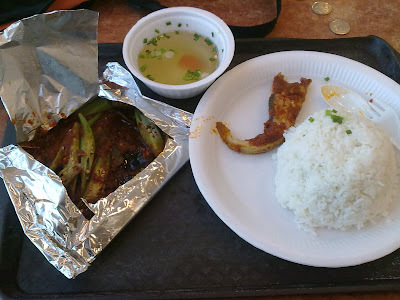 This awesome meal costs you under RM5.00 (2010). It's hot (pedas), but the deliciousness of the sambal compensate anything else.